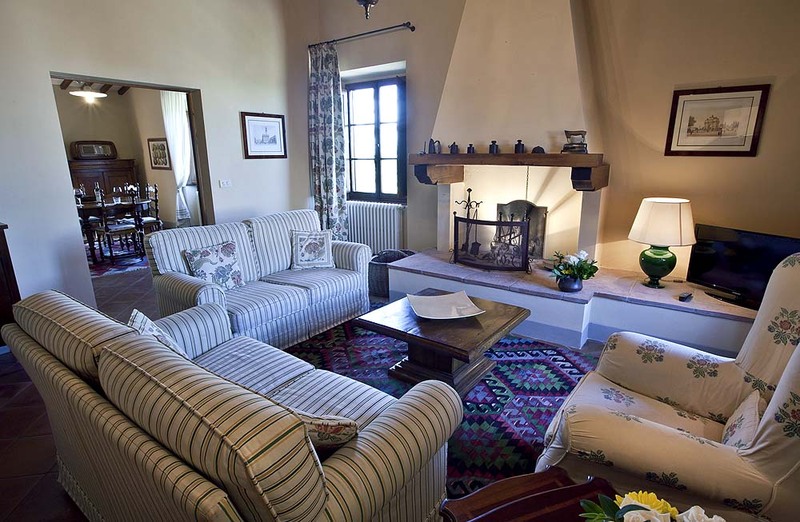 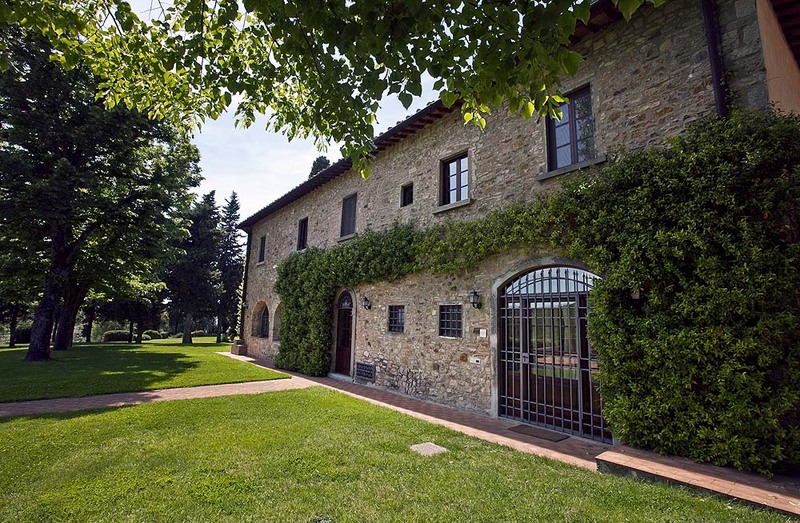 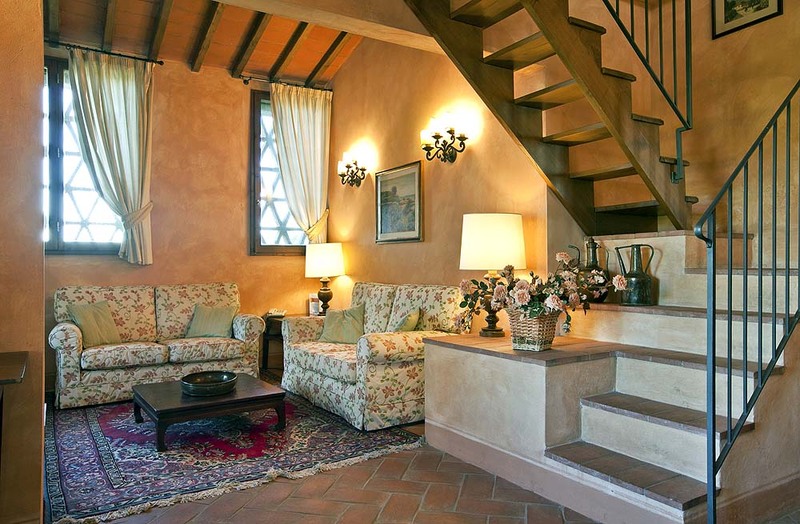 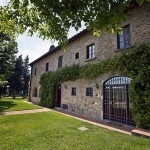 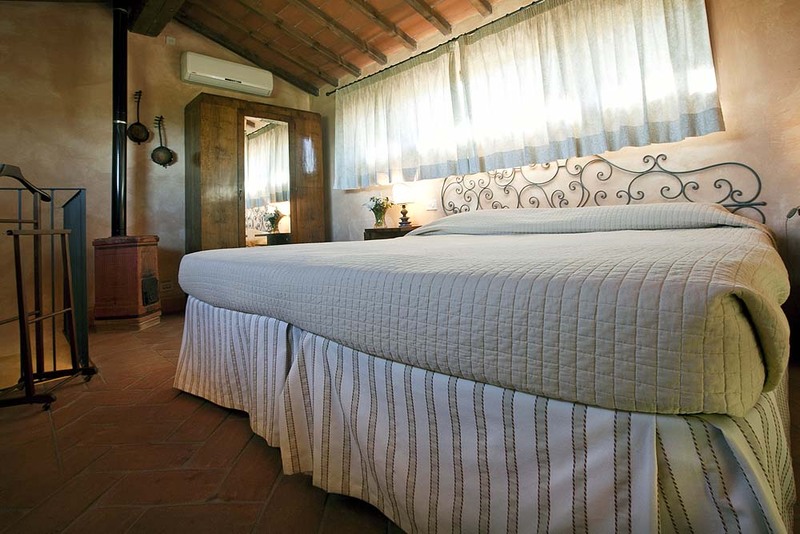 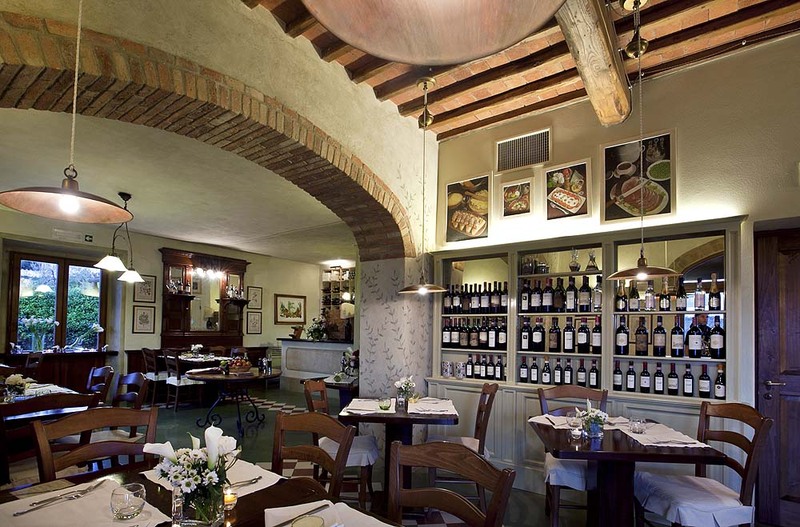 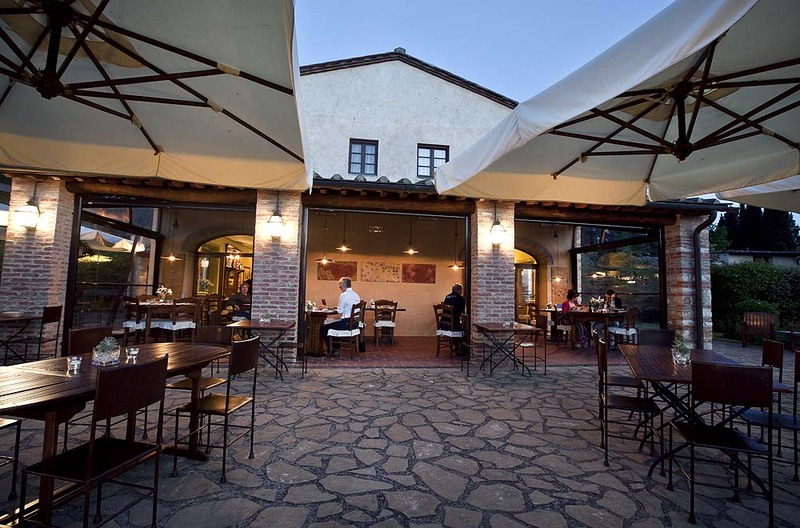 The three clusters of farmhouses that make up Borgo Vigneto have been beautifully renovated and fully modernized to comfortably accommodate guests in a world-class hospitality experience. 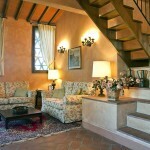 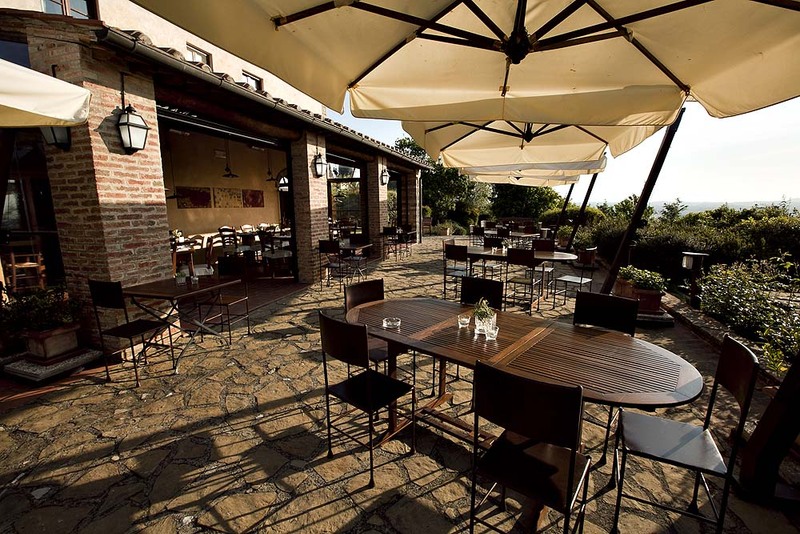 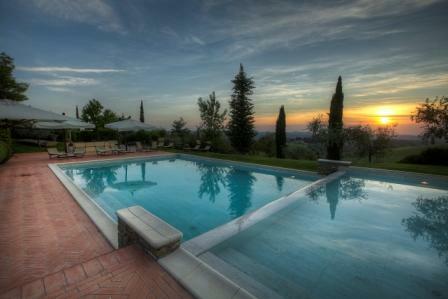 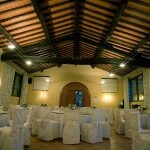 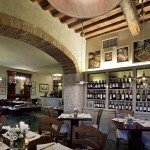 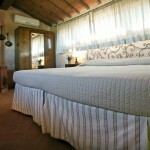 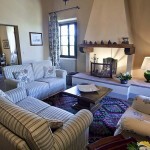 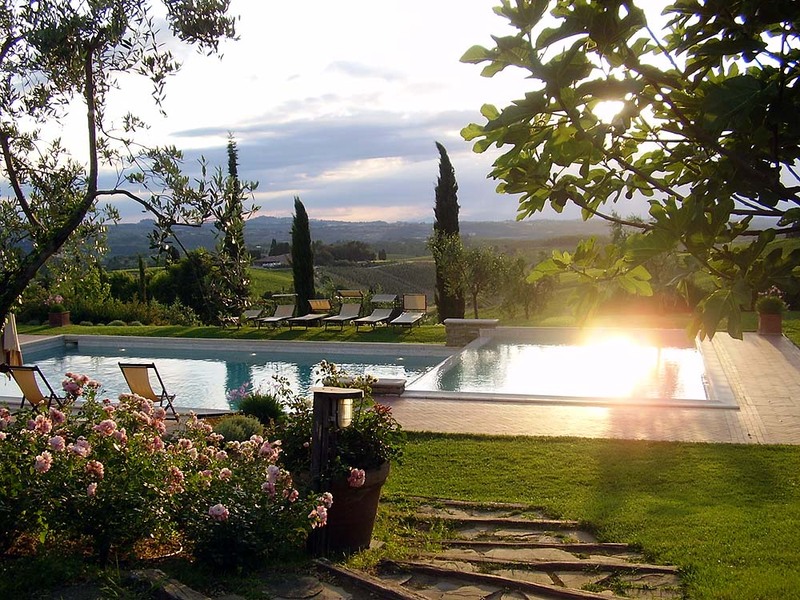 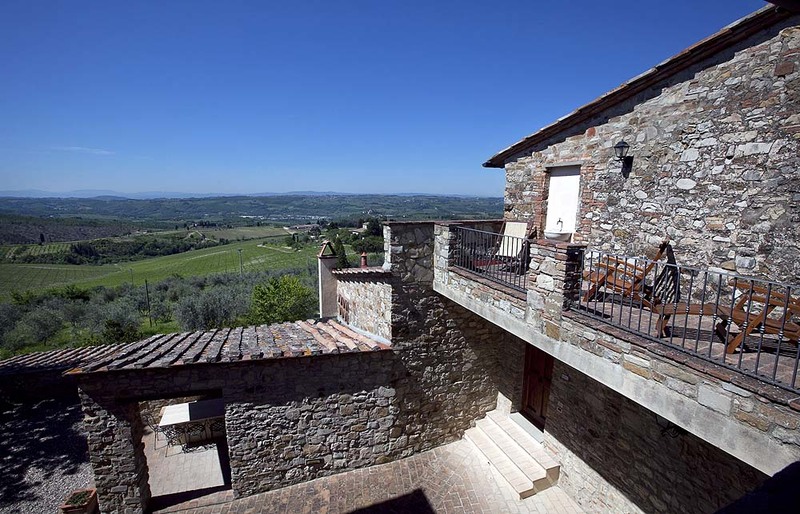 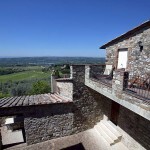 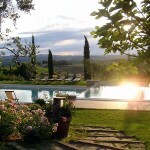 Perched on a small hilltop graced with a 360° view of the surrounding vineyards whose robust grapes will contribute to the Chianti region’s famous wines, the property’s history goes all the way back to the 1400s, when travelers between Florence and Siena made pitstops in the area to drink from its trickling water fountain. 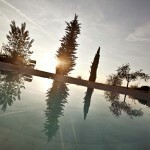 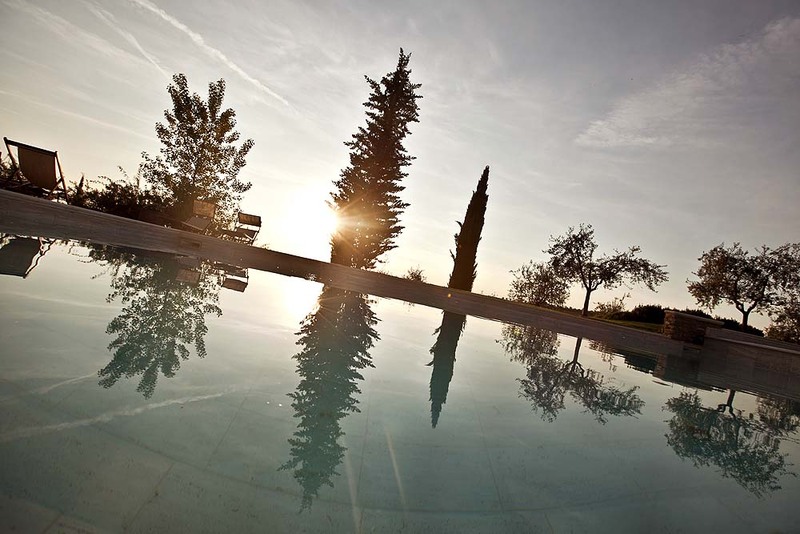 Adding to the Borgo Vigneto’s possibilities for outdoor entertaining and general fresh-air leisure are the pristine swimming pool and sunbathing area and tennis courts. 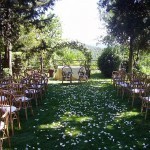 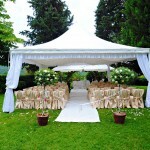 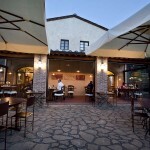 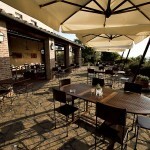 Also available for common use and al fresco celebrations are the restaurant and breakfast area. 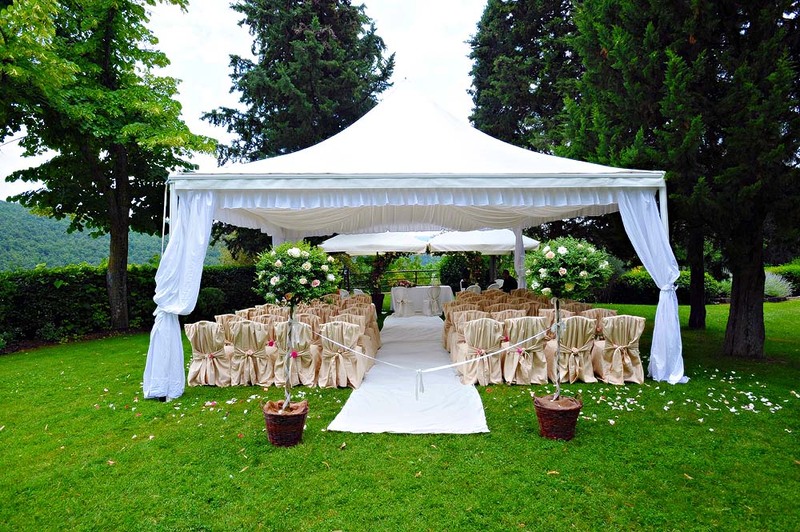 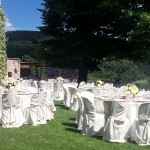 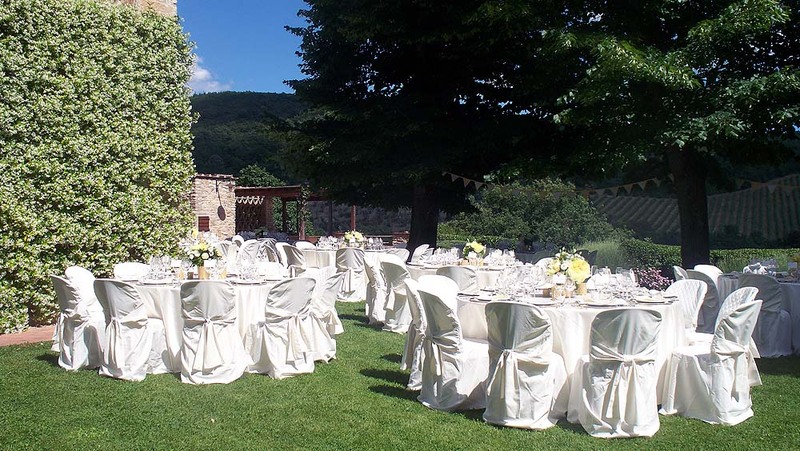 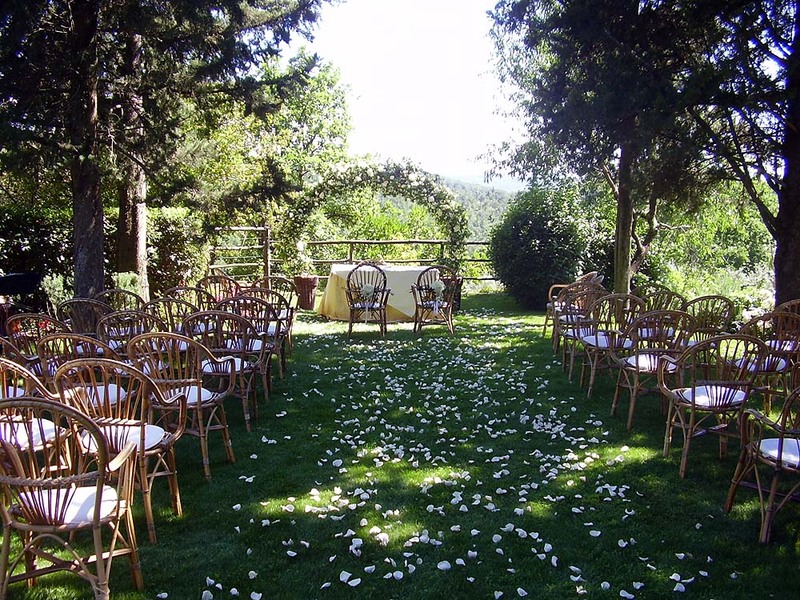 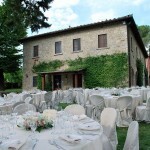 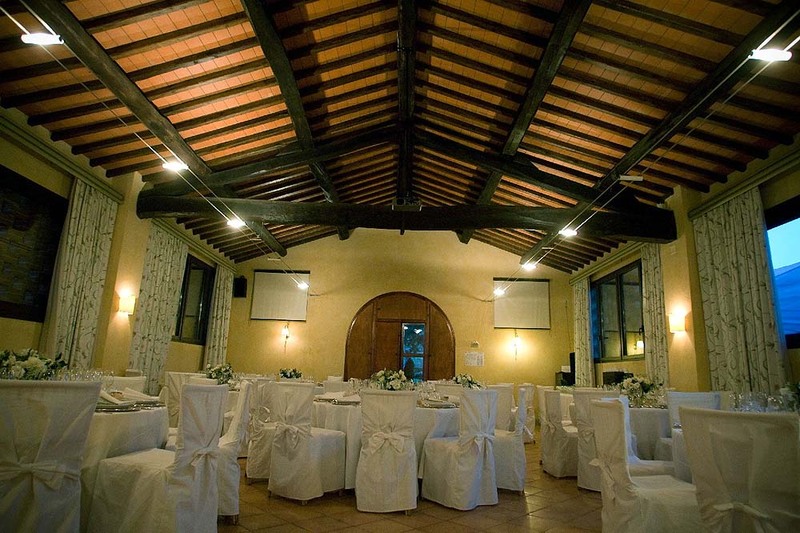 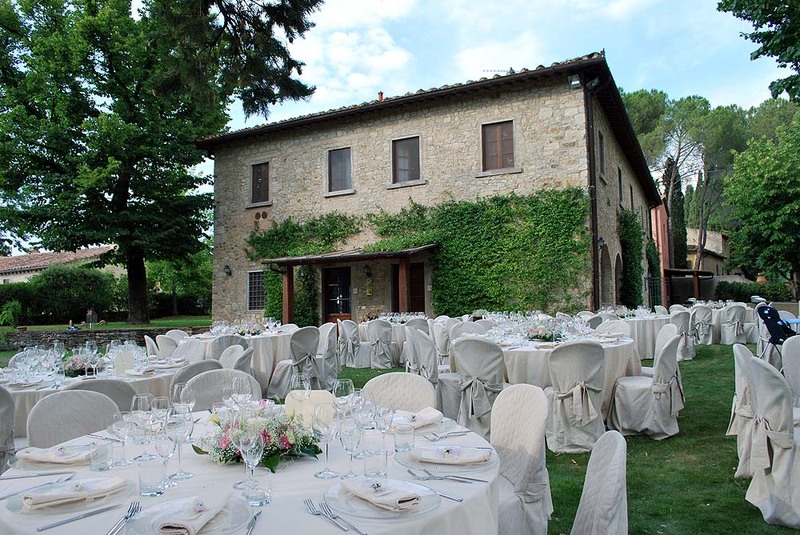 The Borgo Vigneto is a magical little world unto itself, a place to celebrate your lifelong commitment in stylish tranquility.